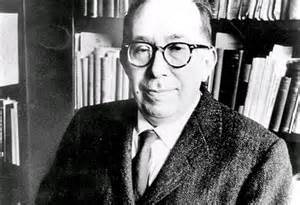 Leo Strauss was undoubtedly one of the most important political philosophers of the twentieth century. He wrote on a variety of subjects, often providing original and controversial interpretations of philosophers such as Maimonides and John Locke. His writings are often quite subtle, even rarefied, though his concerns (at least some of them) are earthly (though not earthy). In Leo Strauss and the Problem of Political Philosophy, the Zuckerts, both professors of political science at the University of Notre Dame, have written a wide-ranging, deep, and very insightful overview of Strauss’s thought. Particularly thought-provoking is their emphasis on Strauss as a follower of Socrates, whom Strauss thought regarded philosophy not as possession of wisdom but as a way of life: a confession of ignorance and a consequent search for knowledge of the whole of reality; for, lacking that knowledge, it is impossible to fully comprehend any part of it, including man. The Zuckerts appear to admire Strauss and, so far as I can tell, do not try to tailor him in any way. They are fair in acknowledging the unconventionality, even downright oddness, of aspects of his thought. In addition, the ramifications of his ideas are considered with particular insight in the chapter that discusses the thought of his German Jewish contemporaries Hannah Arendt and Emil Fackenheim in relation to Strauss, and in another that deals with the various intellectual paths of some of the thinkers influenced by Strauss. The book enhanced my understanding at least somewhat on such matters as Strauss’s insistence on the incompatibility of philosophy and revealed religion, his stance on esoteric writing, and his attitude toward liberal democracy. I am not really much of a “Straussian” myself, but reading this book has made my encounter with his writings much more fruitful.